Today Hoketus will be performed in a legendary Studio 6 of Radio Belgrade as part of the concert dedicated to (post)minimalist composers. Pieces of Michael Nyman, Steve Reich and Milos Raickovic will also be at the program. To follow the concert live at Radio Belgrade 3 go here. 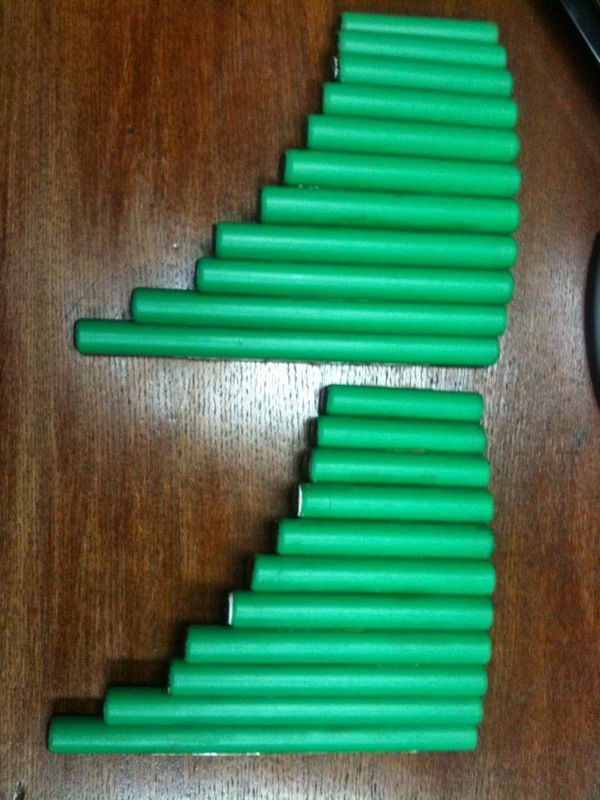 The photograph above shows pan flutes made of plastic pipes by composer Jasna Velickovic in 2004 for the performance of Hoketus in Belgrade. The instruments have only Hoketus tones and will be used again at this concert.